A collection of pictures of the much liked trams in Lisbon. The earlier, mainly black and white, photos were taken in the heat of June/July 1983. Lisbon trams have been operated by CARRIS (Companhia Carris de Ferro de Lisboa) since 1873, starting with horse trams and graduating to electric by August 1902. No visit to Lisbon is complete without sampling the city's iconic little yellow trams. 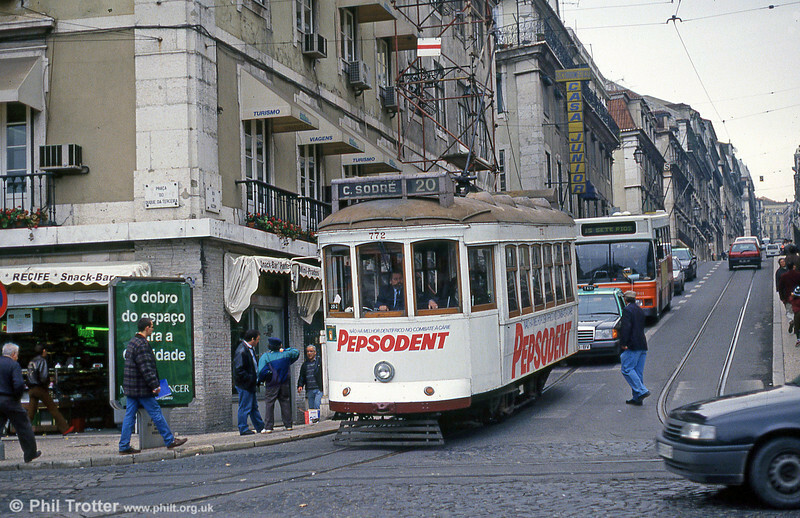 Car 772 at Cais do Sodré on 23rd November 1993.